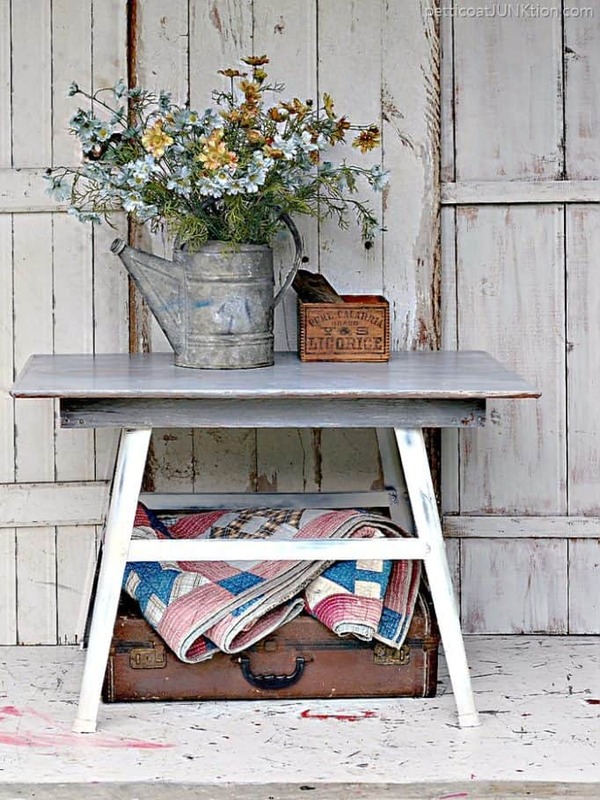 You can’t beat basic white paint….for anything. And I find myself repainting wood furniture white because the first paint job was too bold. If I can’t sell it I repaint it……after it’s set in the shop for a while. Did any of you guys get snow yesterday? We did. 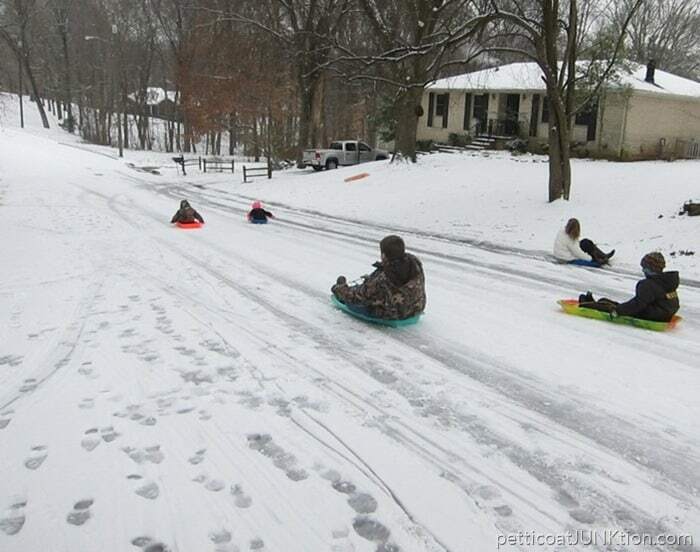 Just enough so the granddaughters could sled down the big hill! The neighbors got in on the action too. I just watched and took photos. 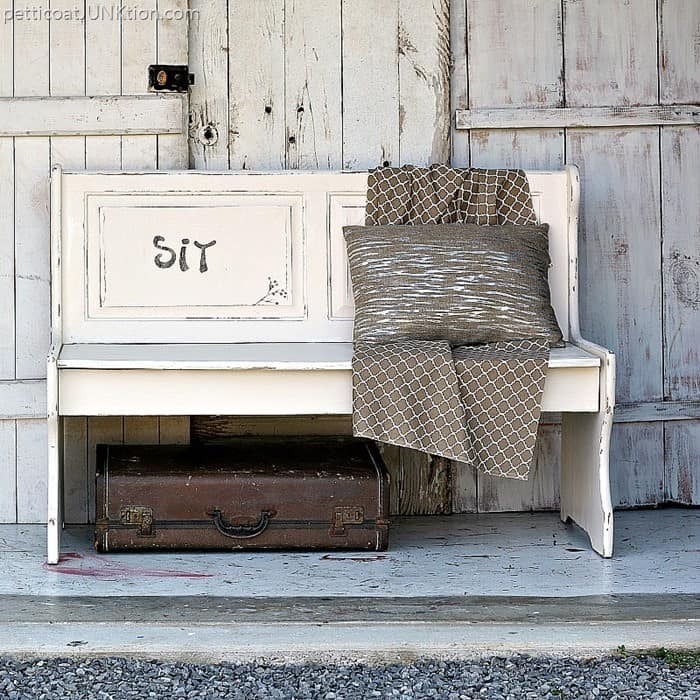 Today is themed furniture makeover day and the theme is “Shades of White”. One of my customers called and wanted a custom piece. She needed a dresser and she sent me measurements for the size piece she needed. I had this one in the shop and it was just the right size. Only thing is I had already painted it. 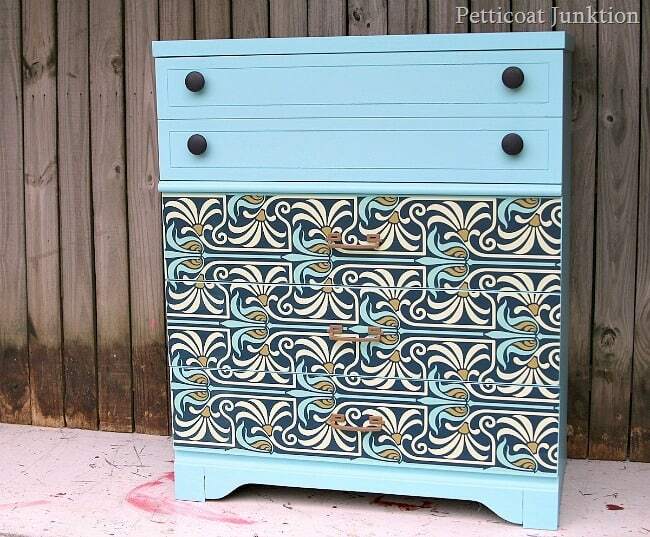 I love the coral color of the dresser. Anyway, moving on the the Shade of White piece for today. I removed the wallpaper from the drawer fronts and sanded the glue off the drawers. The three bottom drawers had pulls in the middle of the drawers and I didn’t really care for the look. The two top drawers had two knobs, one on each end. 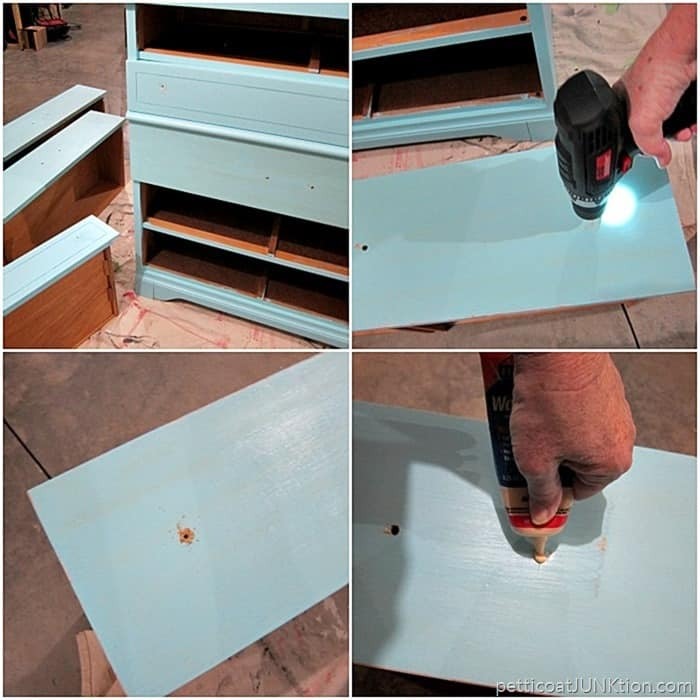 I drilled new holes in the bottom three drawers and filled the original hardware screw holes with wood putty. My client chose a Behr paint color and I had it mixed in Behr paint and primer. The gold mercury glass knobs are from Hobby Lobby. Other project you might like, just click the photo…. That’s it for me. Time to see what my talented friends have for us. 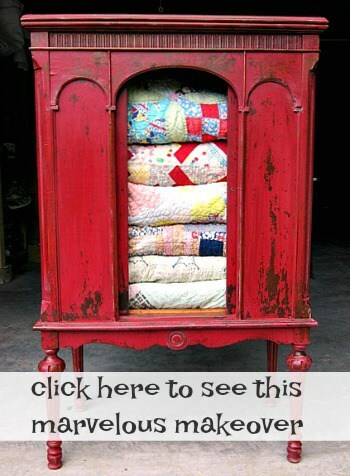 Take the furniture tour by clicking the photos below. Cute dresser, I like the white! Thanks for sharing at #HomeMattersParty! What a beautiful transformation!! The knobs are the perfect touch! What a stunner Kathy-the knobs are the icing! So pretty Kathy! Classic and sleek and those knobs are beautiful! I love the first makeover and the second one too! Both sets of knobs are awesome! 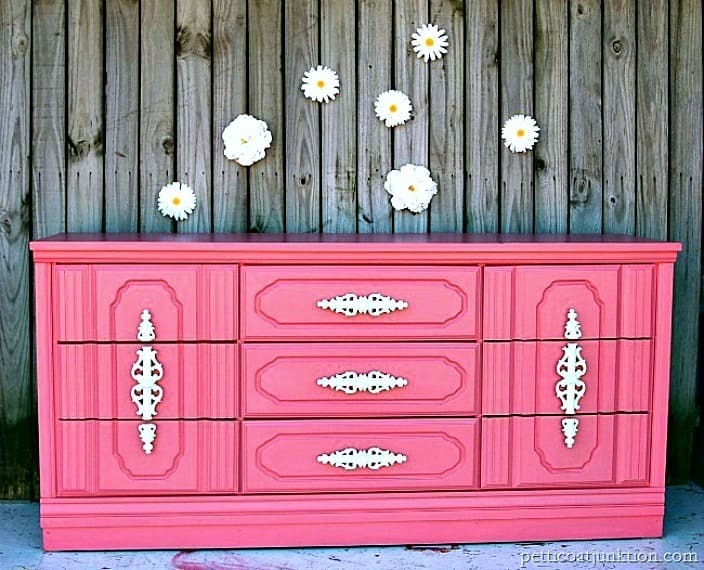 Beautiful dresser! Those gold knobs are perfection. 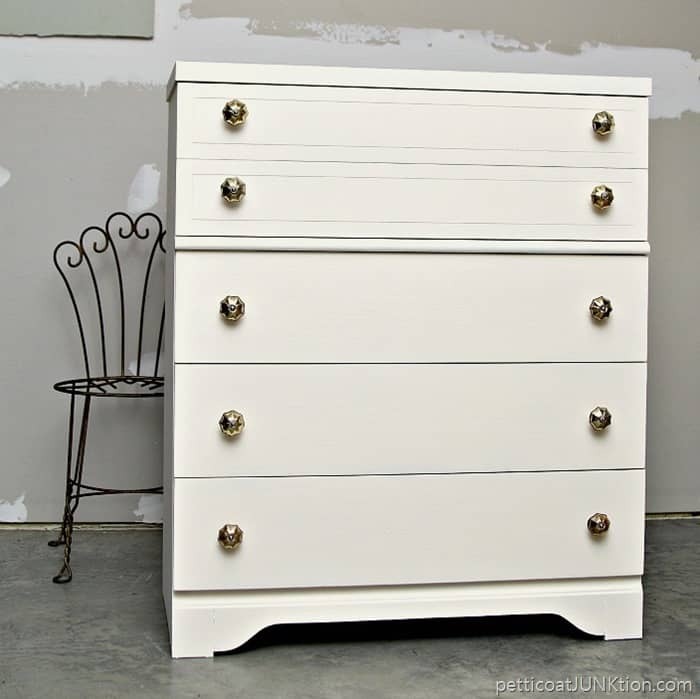 I think the dresser looks amazing in both of the looks that you gave it! 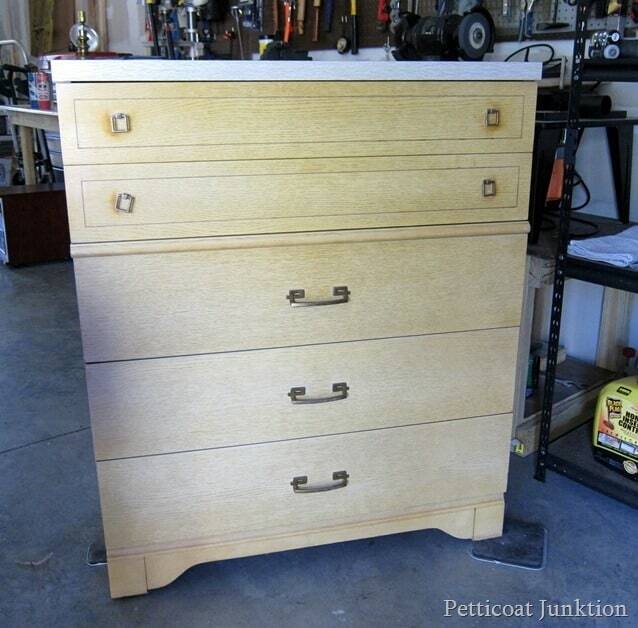 I can’t believe you remade this dresser! It looked so nice with the nouveau wallpaper… I’m a bit sad. 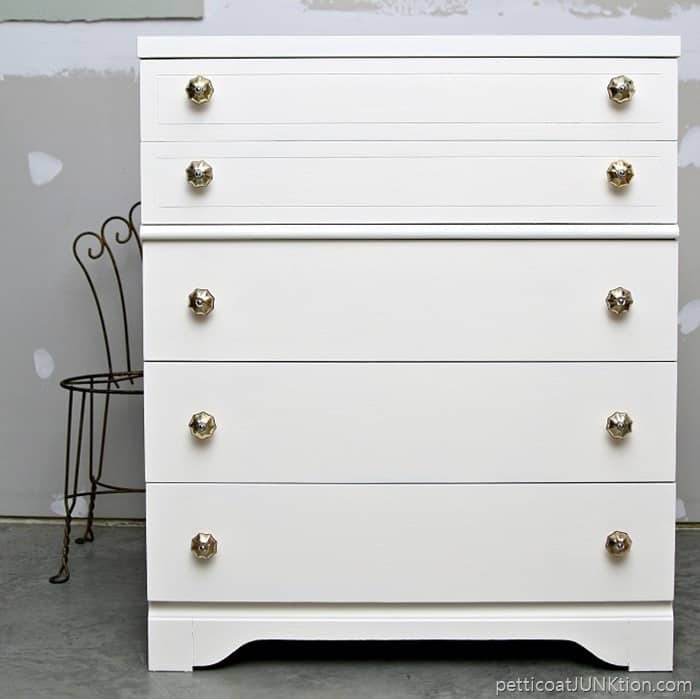 Love the simplicity of this piece that make those knobs really pop!! Awesome job, Kathy! Very Classy piece Kathy. Great job. I remember that original makeover and loved the look. 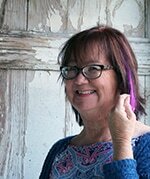 You’ve completely transformed it again Kathy and this look is just as pretty. 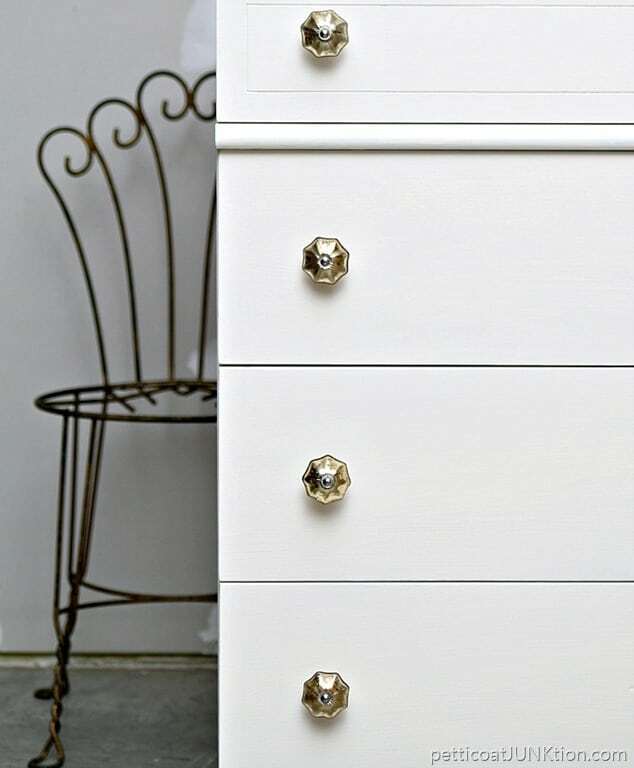 Those beautiful mercury glass knobs are like the jewelry on the little black…white dress! Nicely done Kathy! I’m sure your client loves it! I know your client is going to be so pleased with this piece. The white looks great with the gold mercury glass knobs. Great job on seeing the vision in this piece. The white color is so good with those hot knobs. Love the total look so much!! Kudos! Kathy, You did a great job! And you are right..those knobs really make it pop! Great transformation. 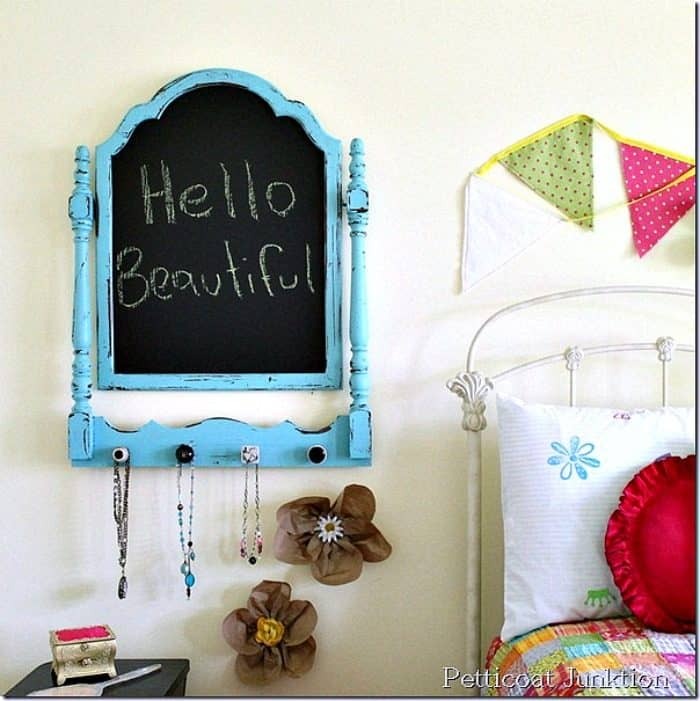 I am a firm believer that the bling/hardware on a piece can make it! I love these knobs!